Albuquerque local brings a wealth of experience. Today, Mayor Tim Keller announced the appointment of Santiago Chávez to the key position of Chief of Staff/Deputy Chief Administrative Officer for the City of Albuquerque. In this role, Chávez will manage and direct the day-to-day operations of the Office of Mayor and Chief Administrative Officer, supervising a number of areas including City public affairs, constituent services, strategic initiatives, communications, community engagement, and administrative functions. Chávez is joining the City’s executive team and his appointment is subject to confirmation by City Council. 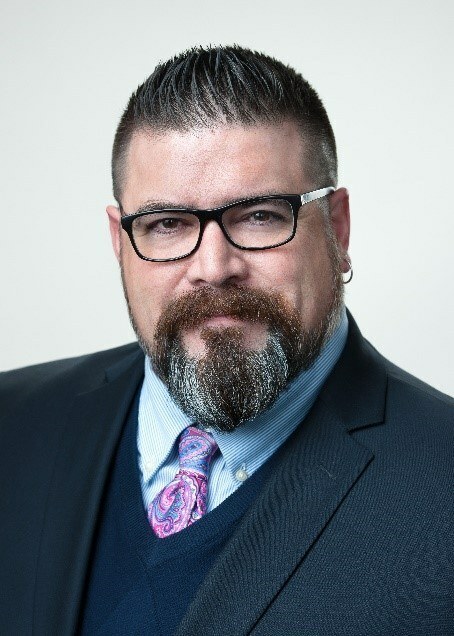 Chávez has vast experience working in the local community, most recently having served for over seven years as the Director of Finance and Administrative Services for New Mexico Association of Counties, the group of county officials and employees working to advance the public’s vital interest in effective, efficient and responsive local government. His duties included overseeing the counties' shared insurance and risk programs as well as troubleshooting county government operations throughout the state. Prior to that, Chávez worked at the New Mexico Finance Authority as an advisor to local governments for financial capital planning and served as a municipal Treasurer and Finance Director. Earlier in his career, Chávez was also Town Manager for the Town of Bernalillo. A native New Mexican, Chávez was born in Albuquerque, and later attended Estancia High School. He earned a Bachelor of Business Administration degree, with a Finance Concentration from UNM. He also earned an Executive Master of Business Administration and a Master of Accounting degree from UNM. Chávez is a veteran who served honorably in the United States Army, 82nd Airborne Division. Chávez is married to Nichole Dominguez-Chávez, an educator, and is the father of two teenagers, Santino and Aiyana. He enjoys spending time with his family and attending his children’s sporting events and activities. Chávez has served on many non-profit boards and volunteers frequently at his children’s school. Sunalei Stewart, who last held this role, returned to his hometown of Santa Fe and is currently the Deputy State Land Commissioner.